Cypher Environmental was pleased to host a Lunch & Learn presentation at Brandon University earlier this week, given by Dr. Hamid Mumin. 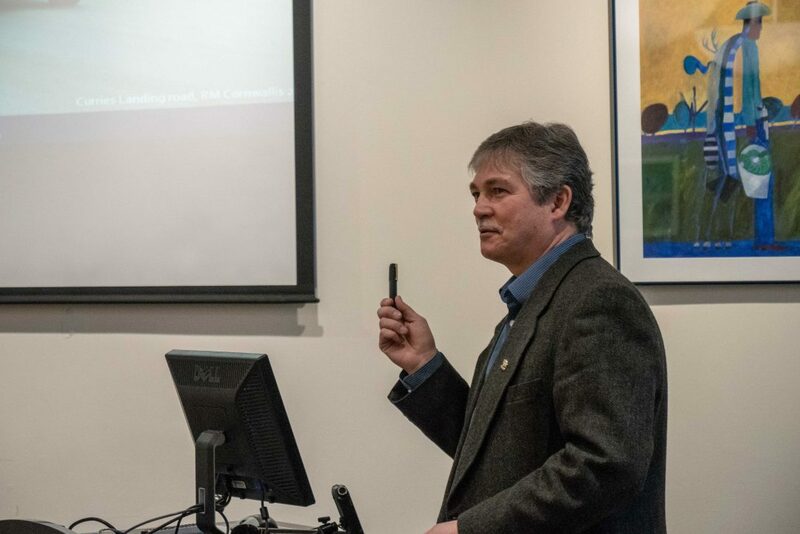 The presentation outlined the specific application and results of the soil stabilization research project jointly funded by Brandon University and Cypher Environmental. 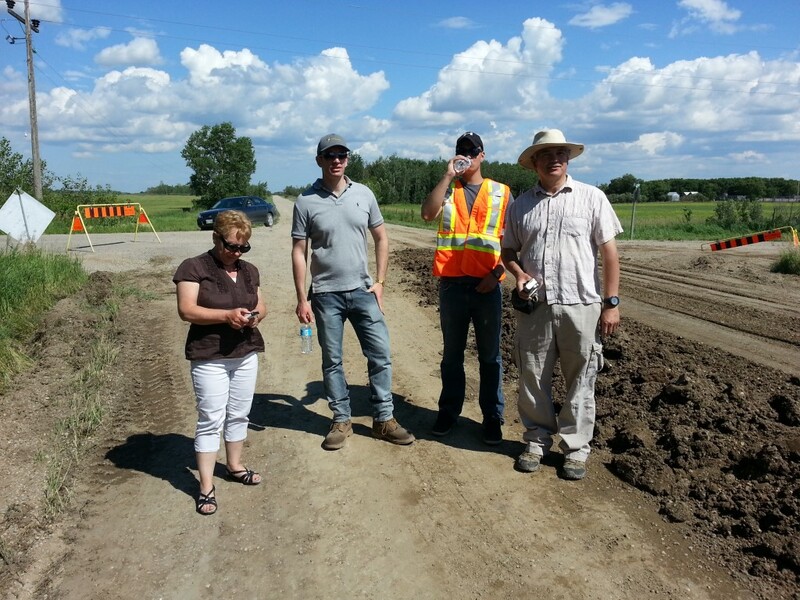 Having spearheaded a team of Geological students over the duration of this project, Dr. Mumin gave a very detailed look at the improved engineering properties of clay soils with EarthZyme®, as well as an evaluation of 3 miles of roads being built with EarthZyme® in the Rural Municipality (RM) of Cornwallis, just outside the City of Brandon, Manitoba. Representatives from many different industry sectors were in attendance—from Rural Municipalities and Public Works to road construction and private industry—all intrigued by the many benefits of our environmentally-friendly and cost-effective soil stabilization solution for problematic roads! Following the presentation, Dr. Mumin gave the representatives a tour of Brandon University’s soils testing lab—giving them a more in-depth look of how the research is conducted. This project was aimed at providing a low cost and sustainable solution to these problems through the use of cheaper clay-rich aggregates and non-toxic organic catalyst EarthZyme®, that causes high-density packing and strong semi-permanent bonding of clay-aggregate mixtures, leading to durable roads that require only light maintenance. This project’s successful implementation has shown a breakthrough in techniques available to rural municipalities and private industry located in rural areas that are in need of solutions to build roads more economically and in a more sustainable fashion. Seeing the need to not only demonstrate the unique road soil stabilization and dust control solutions offered by the company on selected demonstration roads, Cypher Environmental realized a detailed look at the improved engineering properties was needed in order to prove the efficacy of their solutions, and therefore partnered with Brandon University to work on the extensive lab portion of the project. 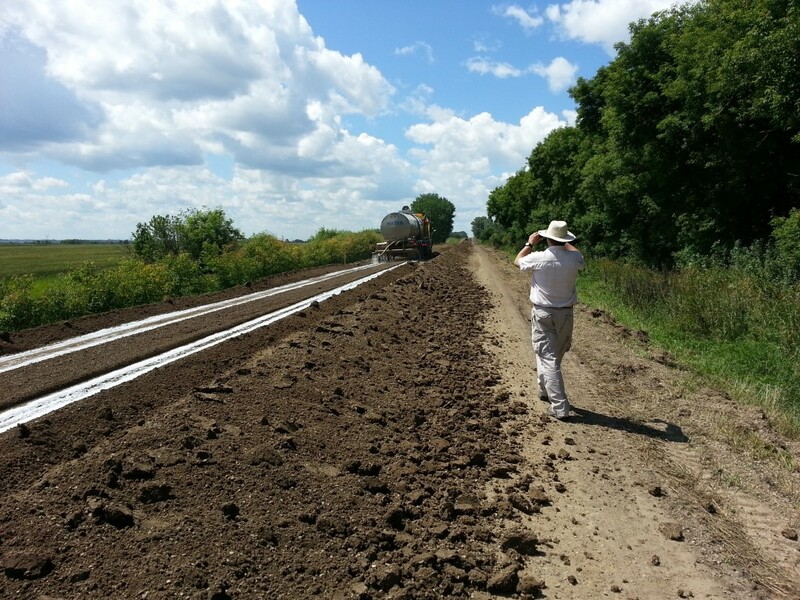 To date, 2 miles of road have been built using Cypher’s road stabilization solutions. These roads are in separate locations and have fairly unique needs. So far, the road maintenance needed—or the lack thereof—on these roads has been excellent. The engineering reports have been great thus far as well. Normally a target density of 95% compaction is desired, but the testing has shown compaction as high as 110%! Lori Road is a very busy rural road, with access to Highway 110 and acts as the perimeter road around the City of Brandon. Further increasing the heavy traffic loads on Lori Road is that it is the only access point to the Glenlea Golf Course, the closest 18-hole course to the City of Brandon. Previously, the road needed weekly maintenance as the dust was choking out golfers playing the holes adjacent to the road. In the two months since the application of the stabilization solutions there has been no need for any maintenance whatsoever. Something that is highly unusual for an unpaved road and this type of traffic load. The dust is a thing of the past! Curries Landing Road is the ultimate challenge for an unpaved rural road, as it provides the only access to 6 gravel quarries. The RM has counted 250 heavy haul trucks per day travelling on the road, which provides for significant abuse. This heavy traffic load required constant maintenance in the past, and to cope with the dust, the RM has had to apply a toxic chloride product (calcium chloride / magnesium chloride) up to 6 times per year! Since the road has been treated with Dust Stop and EarthZyme, no maintenance has been required, and there is no longer any need to be applying non-sustainable chloride dust control products. 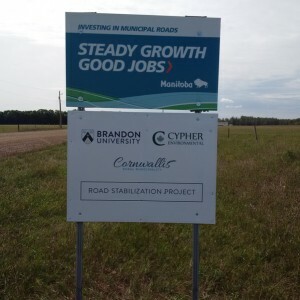 In fact, not only is the project between Brandon University, Cypher Environmental and the Rural Municipality (RM) of Cornwallis demonstrating that more practical and environmentally friendly road solutions exist, it is also helping to create jobs and promote a healthy economy, as can be seen by the sign posted near the road. An additional mile of Curries Landing was treated, followed by an additional mile that was left untreated for comparison. 1/2 Mile of Patricia Road on either side of the junction, as well as 1/2 Mile of Baker Road on either side of the junction. 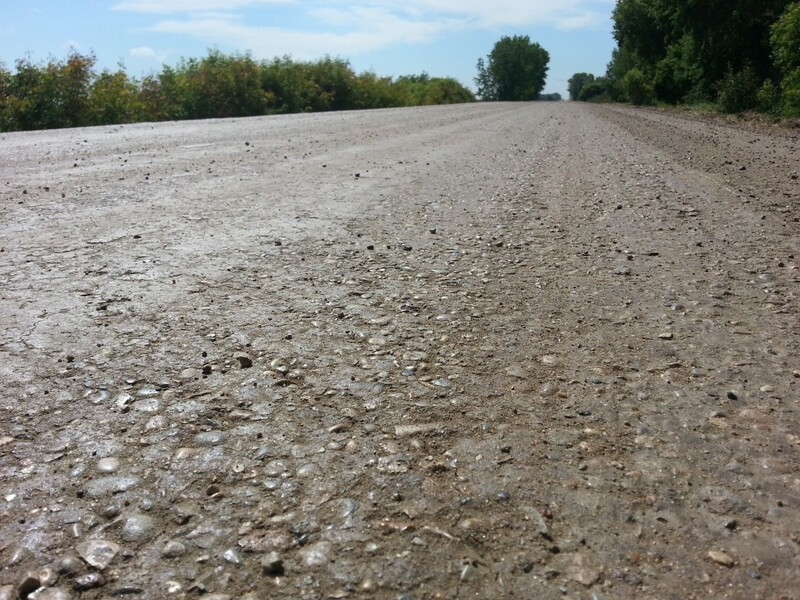 1 Mile of County Road 344 was treated in order to better support high volumes of agriculture and haul traffic. 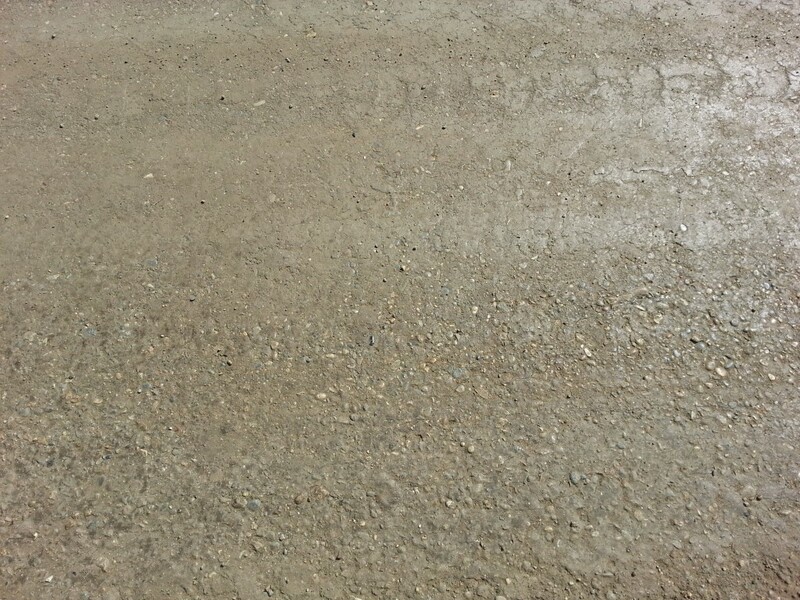 An additional 600m of Patricia Road was treated with EarthZyme, followed by 400m of Calcium Chloride for comparison. For more information on this project or our products, please click below!